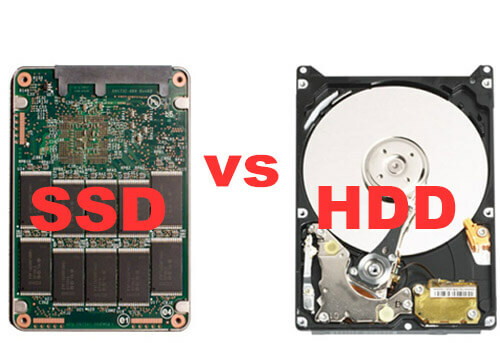 Hard drives are getting faster and the competition for speed and storage is heating up. 3C’s find it helps to understand the latest technologies, which is why we have knowledge in a whole host of different areas. HDD drives contain multiple disks called platters which rotating at high speed to store data permanently. A magnetic read/write arm extends over the platter and accesses or writes data to unused portions of the drive when a new program is installed or a file is created. Unless disrupted by another magnetic field, the data on these magnetic disks is permanent. While the core HDD ideas are simple enough, allowing manufacturers to produce high capacity drives at very low prices, they do pose several problems. Both reading and writing data requires a lot of work, for instance. Heads must move around, and the platter must spin to exactly the right point before the drive can do anything. This all takes time, and is why hard drives are one of the major performance bottlenecks in many PCs. Having to move all these components around also means there’s a constant power drain, an issue with laptops and Netbooks. Solid state drives (SSDs) take a very different approach to data storage store data permanently as well, but without the use of a magnetic disk. Instead, they use flash memory that retains the information even after the power has been disconnected from the computer. This flash memory, similar to, but not the same as USB flash drives, is capable of close to 100 times better performance than a traditional hard drive. Solid state drives are fast compared to traditional hard drives, cold boot to browsing the web in a matter of seconds with an SSD; the same window is often minutes with a traditional HDD, solid state drives consistently outperform traditional hard drives in both cold system starts and application opening times. HDD function best when data is written in a long, continuous string of magnetic sectors. Fewer movements by the read/write arm allow them to read the data at high speed and not have to search for remaining pieces of an application. As hard drives fill up, these big uninterrupted sectors are harder to find and data fragmentation, or the placing of an application in multiple sections of the drive, occurs. Solid state hard drives don’t suffer from fragmentation, as all of the data stored on flash memory is equally easy to access at all times. Solid state drive is durability unlike a hard disk drive with a magnetic platter and a read/write arm to worry about, solid state drives don’t have any moving parts that can break if the drive is dropped, meaning better data protection in the event of an accident. Dropping a traditional hard drive could mean the end of the data forever if the magnetic read/write arm becomes inoperable.